This is stylish and attractive side table made out of pallets wood and can be used to place at many places in your home. This table can also be said a mental table to put decoration crafts and mental pieces on it. It is looking lovely and adding warm and rustic look to the environment. 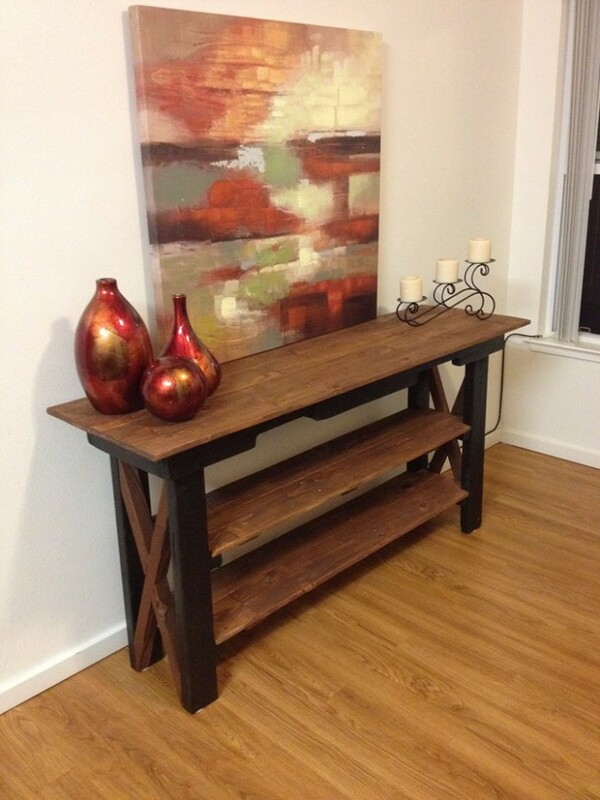 You can see the design and style of this pallets made side table that it is constructed with multiple racks to place more and more things on it. For example, you can put your books, flowered planter boxes, candle stands and many others on it to make it more useful. 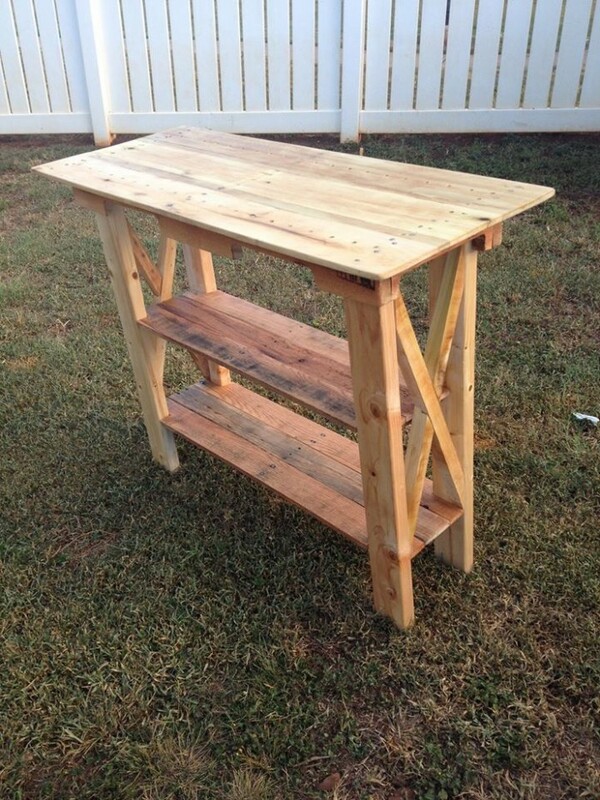 Recycled pallets DIY ideas have really changed the concept of furniture and other wooden crafts. 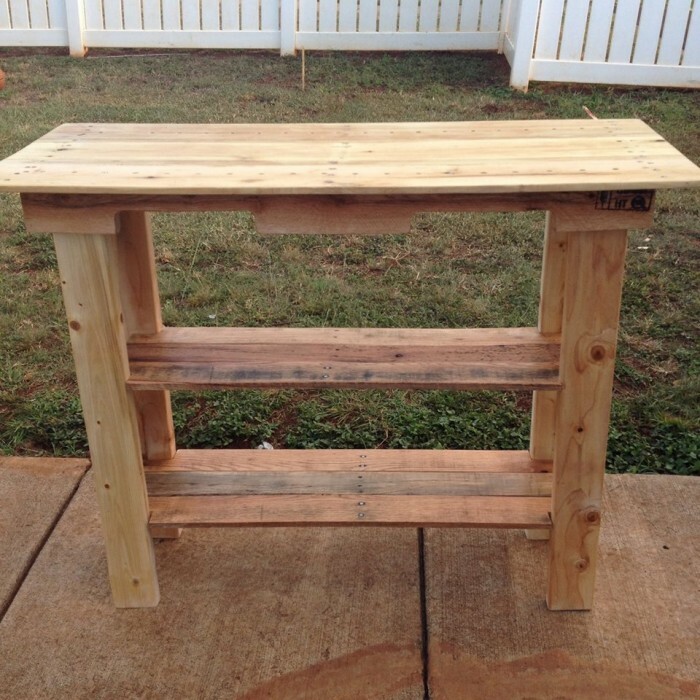 Pallet wood gives us thousands of ideas to make unique furniture items and other wooden crafts to be used for domestic and commercial purposes. Moreover, it is cost effective, attractive and convenient to construct as well. 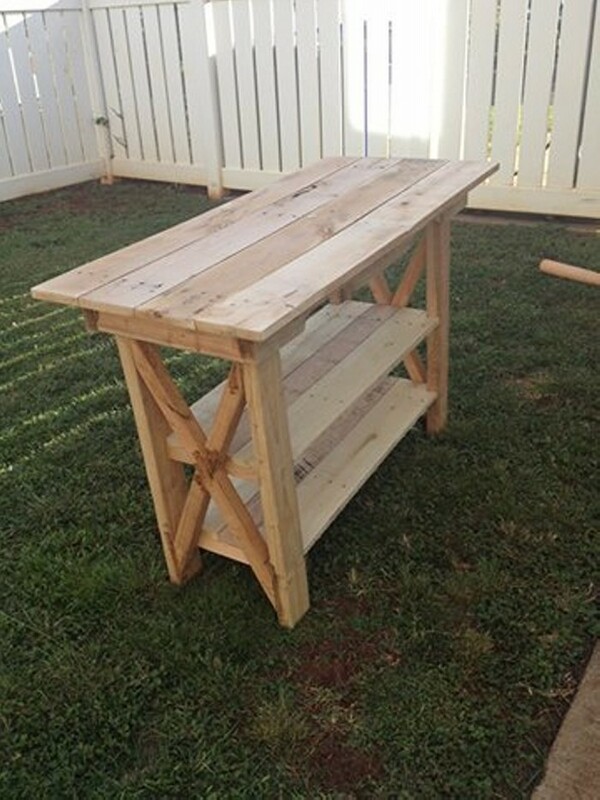 With just basic handy carpentry skills, you can make stylish pieces of furniture items to be used for home indoor and outdoor. For example, this side table can also be placed in the home garden having flowered planter boxes on it to add rustic and warm look to the environment. 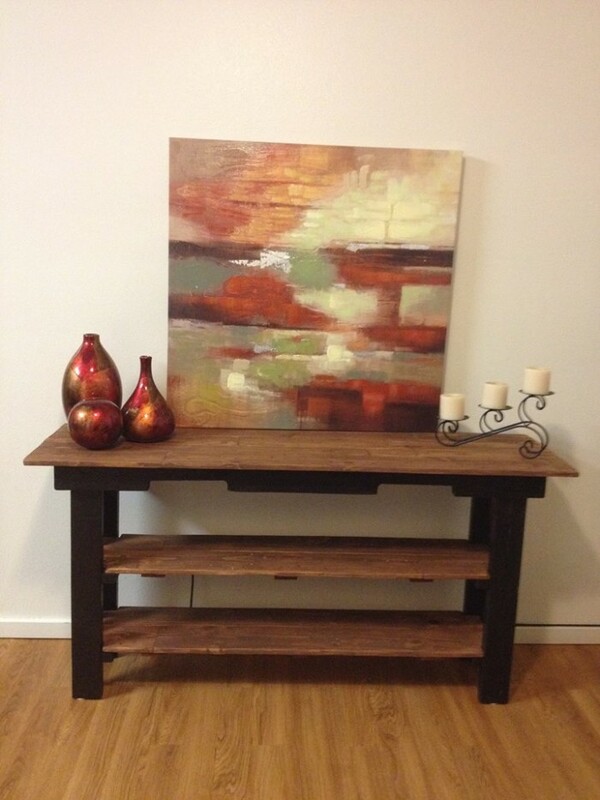 Natural color and texture of pallets is really beautiful and adds attraction to the place where you make use of pallet made furniture and other wooden crafts.